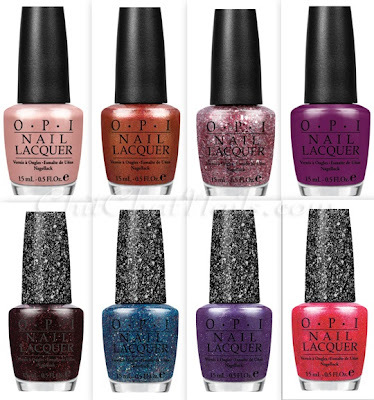 As some of you know, I am obsessed with OPI nail polishes. 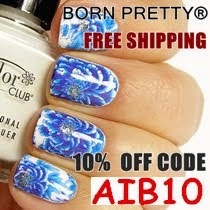 In my opinion, they're one of the best polish companies around. ....and some time ago they also launched a new effect - liquid sand - which is a gritty, matte nail polish (which I have yet to try). My favourite shade is 'Stay the Night'. Which is yours? 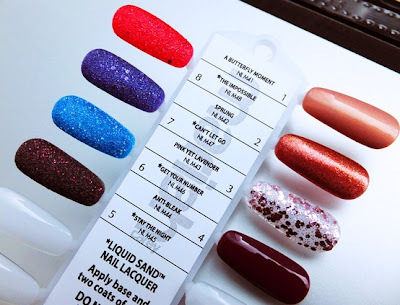 Would you try the liquid sand effect nail polishes? 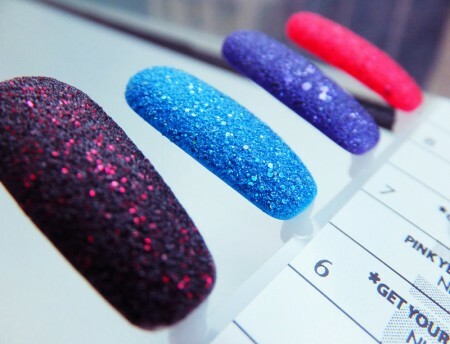 I MUST get my hands on these :D If they're anything like thick glitter polish, they will be a pain to take off. What I usually do is soak a cotton ball with remover, put it around my nail and cover it with a piece of aluminium foil, wait for 5 mins and it should come off easily. my fav has to be 'stay the night' as well! yep! It's so gorgeous, can't wait till next month when they'll be available!